Grab your slippers and cardigans because Third Place Commons invites you to their annual community breakfast entitled Won’t You Be My Neighbor? The breakfast takes place on Thursday, March 7th. 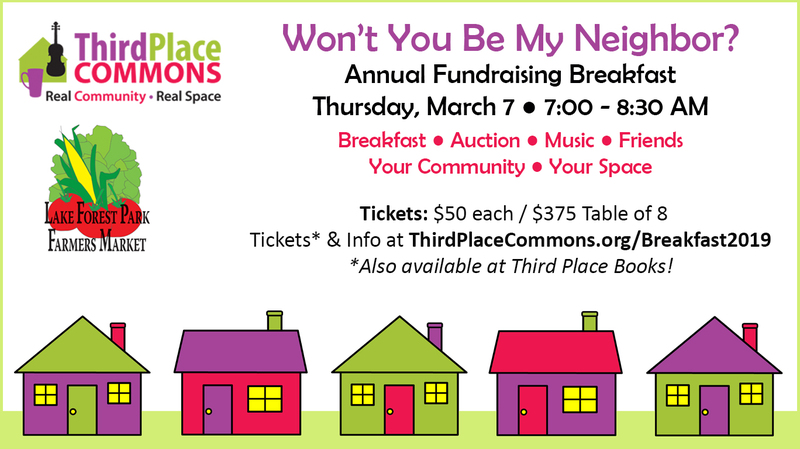 Third Place Commons is a community-supported 501(c)3 nonprofit organization dedicated to fostering real community in real space, and this is your chance to show your support for that vital community. Visit the event page to learn more or get your tickets now for the big event!